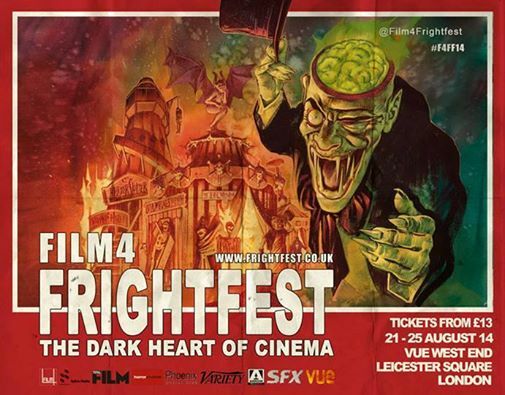 Frightfest, now in its 15th year will go through its most radical change yet; moving from the Empire to the Vue in Leicester Square has meant more change than just a venue! At the Empire; Frightfest has been able to grow, not just in ticket sales but also in size by offering many more films by having multiple screens. These were called the Discovery Screens and last year they even managed to have three of them. While the Empire boasts an impressive 1300 plus seats in screen 1; this was the home to the main programme for the festival. The Vue’s biggest screen is 413 seats; this alone would not accommodate the weekend passes and herein lies the biggest challenge for the festivals organisers. Their answer was to show the main programme over three screens; giving each screen its own sponsor name and rotating the films at staggered times in a day and evening session. Screen 5 (413) is the Film 4 screen; 6 (264) is the Arrow screen and 7 (411) is the Horror screen. Then there are two discovery screens which will play a film in this same period; if you want to watch a discovery film you will only miss your screen’s film in that time slot. Unlike the previous years the discovery films will only play once; this means that some planning is actually required to give you the optimum set of films you would want to see in the discovery and main screen. Within my group of friends we ended up debating this for a good few hours; a good way to pass the time in the sleepy queue. We were leaning towards the Horror screen, when under further discussion we came round to the Film 4 screen. Once at the till and needing 3 isle seats we actually ended up back in the Horror screen! Talking of the sleepy queue, this has become as famous as the festival itself, usually starting on the Friday; this year the first person was in the queue at midnight on the Thursday! At the end of the day people camp out for tickets or for a place at the front of a stage all the time, so I don’t really see it being that ridiculous. However passersby enquiring what we are queuing for had a slightly different view to me! Over the last 2 years I’ve joined the queue around 6.30 am on the Saturday; being in the same place both years about 100 people from the front. This year after a couple of films, a hearty meal and some late night coffee we joined at 2am; about 40th in the line. With chairs, no rain and a good sense of humour it’s actually a great night! The Vue cleared the longest sleepy Q in record time, just over an hour, however it soon fell apart. The online booking system crashed in spectacular fashion and frustration and anger was vented at both the Frightfest organisers and the Vue cinema on social media. While not really the fault of Alan, Ian and Paul they were involved in organising the recovery of the booking system with Vue. Lessons will be learned from this year’s event, there will be hick ups and issues, there always are. Both the London and Glasgow film festivals suffer online problems every year; the internet is good, it’s just not that good! On the Friday at 2pm the films are announced and this year I have to admit the line up is rather strong; opening the festival is the British film The Guest, starring Dan Stevens. The closing film is the Brenton Thwaites (Oculus), Lawrence Fishburne-starring sci-fi thriller The Signal. These two films will play in all three screens at the same time! Two more films play on the Thursday evening after The Guest. Housebound from New Zealand, directed by Gerard Johnstone and billed along the lines of if you liked The Loved Ones this is for you. I really enjoyed The Loved Ones. Ending the first night is the crazy sounding Zombeavers, directed by Jordan Rubin at a brief 80 minutes I can see this being fun late night movie, hopefully! Friday; the main screen’s day films are Shockwave Darkside 3D, Green Inferno and Late Phases. Shockwave Darkside is directed by Jay Weisman in his first feature and from the producers of The Banshee Chapter which wasn’t too bad. Personally I will be looking at a discovery film for this one. Green Inferno is Eli Roth’s first film as Director in 6 years, some may argue that’s not a bad thing, I don’t mind his films, though hearing feedback on Inferno I’ll be trying for a discovery film! There seem to be a few werewolf films in the line up and here’s the first one; Late Phases directed by Adrian Garcia Bogliano (Cold Sweat/Here comes the Devil). Neither of these I have seen, boasting a decent cast I would not be too unhappy if I ended up in this; though the discovery films look better. 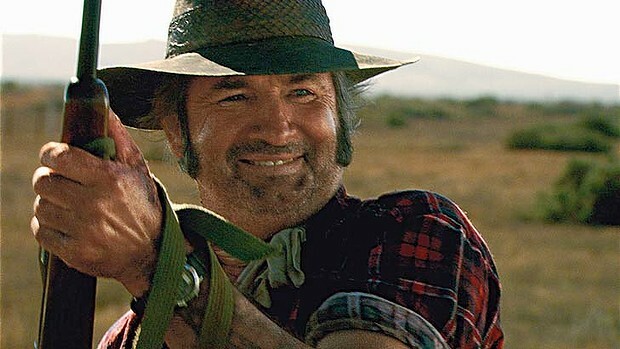 The opening two discovery screen films are Honeymoon (D1) and Wolf Creek 2 (D2), I saw Wolf Creek 2 at the Glasgow Frightfest and can see why they’ve brought it down to the main event; it’s great fun. Honeymoon stars Rose Leslie (Game of Thrones) and Harry Treadaway and my choice for this slot. Directed by Leigh Janiak in her first feature, the film has gained some critical acclaim while playing the festival circuit. Next in the discovery screens are Preservation directed by actor Christopher Denham in his 2nd full feature; his first was Home Movie which I haven’t seen. Hunting trip goes wrong, they become the hunted by local hunters with extra relationship issues thrown in as well; sounds a well worn path. Though with Wrong Turn 6; really? This is in Discovery 2 I might end up back in Inferno here. Having seen all 5 and wondering how they got 4 and 5 even made I’ll be steering clear of this one. The last two discovery films are Julia directed by Matthew A. Brown, his first feature film. Starring Ashley C. Williams from The Human Centipede, this is one I do fancy with its neon-noir label and what looks like a brutal revenge thriller. While R100 sounds like a typical off the scale Asian film, which is a draw to me as I’m a big fan of Asian cinema. The evening session on Friday boasts Dead Snow 2, The Last Showing and a T.B.C. film. Dead Snow 2; Directed by Tommy Wirkola (Hansel & Gretel: Witch Hunters) and by all accounts better than the original sounds a blast, with Russian zombies fighting Nazi zombies, but it plays against 2 films I’d really like to see in the Discovery screens (oh the decisions!). Robert Englund has a film at the festival (well two actually as Elm Street 1 is playing), in The Last Showing directed by Phil Hawkins; sounds like a found footage with a difference. 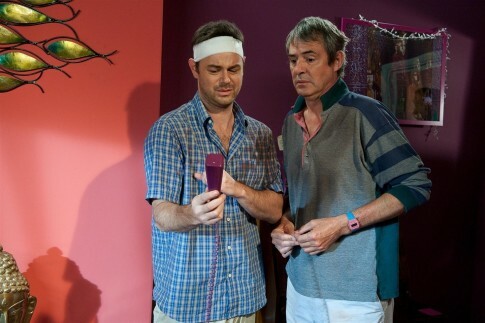 A UK production also starring Keith Allen this would be a draw if Englund is on the guest list. Over in the discovery screen The Forgotton is a UK film directed by Oliver Frampton and from the producers of the Boederlands comes this tensely plotted, gritty urban supernatural horror. In discovery 2 Exists is showing. Another found footage film, which will not be high on my agenda. (Not a fan of FF films) From the director of The Blair Witch Project; Eduardo Sanchez comes a “in the woods” survival film against a fearsome female creature, sounds far too much shaky cam for me! Then in the Discovery screens are The Canal and The Den. The Canal is an Irish film from director Ivan Kavanagh and stars Rupert Evans (Hellboy) and Steve Oram (Sightseers), along the lines of Don’t Look Now and Suspiria this ghost story is dark and disturbing. A midnight hit at the Tribeca festival it may be worth a visit. The Den directed by Zachary Donohue is his first feature. A modern day Rear Window using the computer as the window; sounds an interesting idea, but one I might catch another time. Finally comes 2 discovery films that will draw a lot of attention. WolfCop and The Drownsman and I’m torn which one to see; as well as them being up against Dead Snow 2! Wolf Cop sounds the mad sort of film which Frightfest late night viewers will lap up. With strong sales at cannes, WolfCop has already secured a sequel; I can see this being one hot ticket on Friday night! While The Drownsman also looks a pretty strong film; directed by Chad Archibald (Kill / Neverlost) neither I have seen. But I like the idea of this film; as Madison (Michelle Mylett) has hydrophobia her friends try to break her fear but only unleash The Drownsman! The rest of the line up will appear in part 2. Having been a regular visitor to the London Frightfest for the last 8 years I eventually dragged myself up to Scotland to see what the Glasgow event was like. Needless to say I’ll be going back next year, I had a great time. While not as intense as the August event I liked the more intimate feel of this smaller gathering. A fair few familiar faces littered the audience and I also had a chance to meet some social media friends for the first time, just like the Failed Critics’ one and only James Diamond [I didn’t pay him to phrase it like that – James]. Ti West in conversation was an extra event on the Thursday night. With West’s new film The Sacrament playing over the weekend I guess it made good sense to host it something like this. Being a fan of House of the Devil and The Innkeepers I was looking forward to both the event and the new film. Even with his small filmography West delivered a solid 90 minutes of interesting and insightful stories of his short career. The people he worked with, like Larry Fessenden and Eli Roth, and how he secured his cast for his films; mostly through friends and chance meetings. In the Q&A he provided strong positive answers and was very willing to share his experiences. I do hope that this conversation gets aired on the internet if you like West’s work then it was an interesting 90 minutes from a director with a promising future ahead of him. Killers (Dir:The Mo Brothers) – Day 2 Closing Film. To know this was a replacement for The Raid 2 is a bitter pill to swallow; however it was described to me as something similar to I saw the Devil, while actually not in the same class as I Saw the Devil, it’s not that far away. A mock-documentary heavily influenced by the Jonestown incident in the 70’s. Possibly more disturbing than most films on show over the 2 days, this is a chilling story of what could and obviously has taken place before. A community run by one man, known as Father (played rather brilliantly by Gene Jones) and his hold over his followers. Mick Taylor (Jarratt) returns to our screens after nearly 10 years, while not a massive fan of the original because it lacks any humour, it’s still a good piece of serial killer horror.